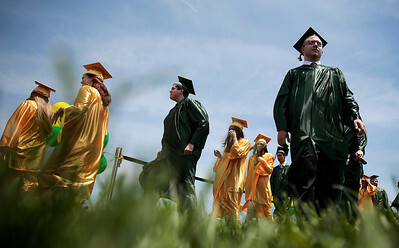 Kyle Grillot - kgrillot@shawmedia.com Graduates enter the football field before the start of the Crystal Lake South High School commencement Saturday, May 31, 2014. 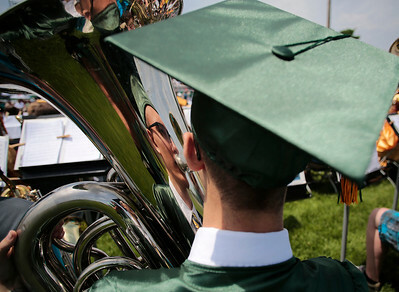 Kyle Grillot - kgrillot@shawmedia.com Graduate Nicholas Droste performs with the band during the Crystal Lake South High School commencement Saturday, May 31, 2014. 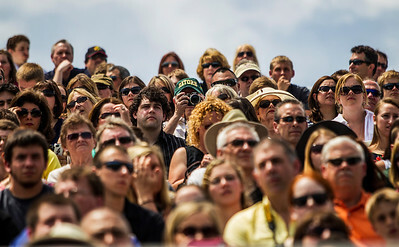 Kyle Grillot - kgrillot@shawmedia.com Spectators watch as graduates enter the football field during the Crystal Lake South High School commencement Saturday, May 31, 2014. 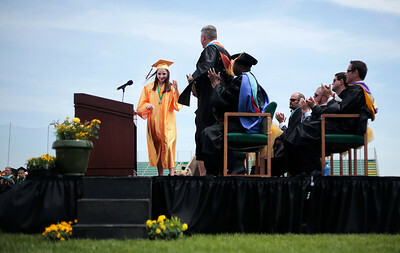 Kyle Grillot - kgrillot@shawmedia.com Valedictorian Julia Thome exits the stage after her speech during the Crystal Lake South High School commencement Saturday, May 31, 2014. 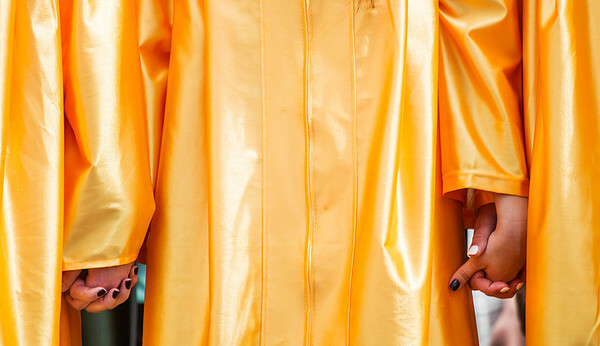 Kyle Grillot - kgrillot@shawmedia.com Graduating Choir members hold hands while singing during the Crystal Lake South High School commencement Saturday, May 31, 2014. 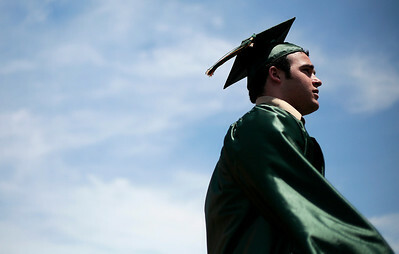 Kyle Grillot - kgrillot@shawmedia.com Graduate Davis Dang walks toward his seat after receiving his diploma during the Crystal Lake South High School commencement Saturday, May 31, 2014. Kyle Grillot - kgrillot@shawmedia.com Aleena Haider shows off her diploma to the crowd during the Crystal Lake South High School commencement Saturday, May 31, 2014. 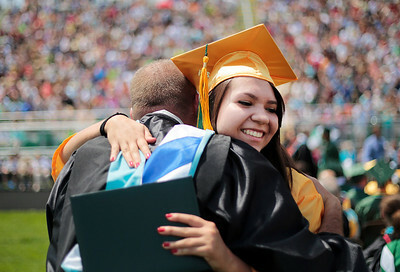 Kyle Grillot - kgrillot@shawmedia.com Graduate Sarah Melone hugs basketball coach Kyle McCaughn after receiving her diploma during the Crystal Lake South High School commencement Saturday, May 31, 2014. Kyle Grillot - kgrillot@shawmedia.com Graduate Austin Rogers goes to receive his diploma during the Crystal Lake South High School commencement Saturday, May 31, 2014. 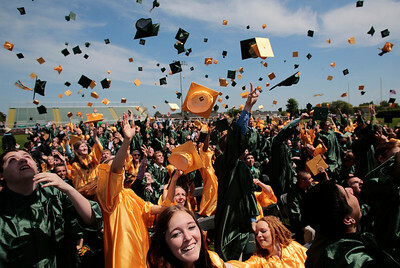 Kyle Grillot - kgrillot@shawmedia.com Graduates toss their caps at the conclusion of the Crystal Lake South High School commencement Saturday, May 31, 2014. 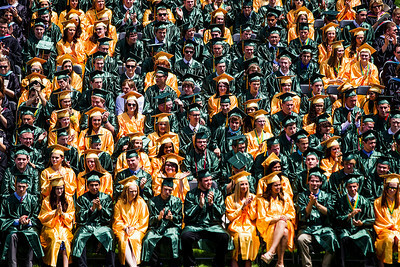 Kyle Grillot - kgrillot@shawmedia.com Graduates listen the principal Scott Shepard's address during the Crystal Lake South High School commencement Saturday, May 31, 2014. 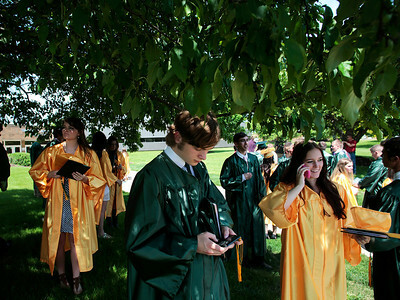 Kyle Grillot - kgrillot@shawmedia.com Graduates take shelter from the heat under a tree after the Crystal Lake South High School commencement Saturday, May 31, 2014. 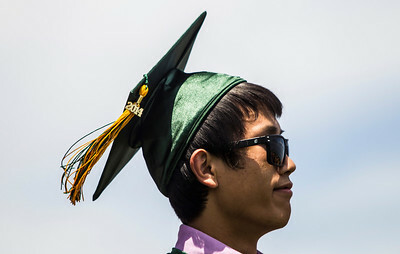 Graduate Davis Dang walks toward his seat after receiving his diploma during the Crystal Lake South High School commencement Saturday, May 31, 2014.